When it comes to moving house for the first time, it can be quite stressful. Not only is this one of the biggest steps you will make there are so many things that you will need to take into consideration before you do. 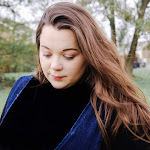 Rewind back a few years, I was twenty-two when I decided to take the plunge with my husband and move out of my parents home and into our one bed flat. It was a little hard to adjust at first, being that I was moving out of my parents and twenty minutes away. It was time to spread my wings as they say, be an adult. I would be in control and I could do whatever I wanted. Before I knew we signed our very lengthy tenancy agreement and we were heading out to get some paint for our new abode. We stayed in our one bed flat for five years and to be honest, if we didn't need a bigger property for our daughter we would probably still be there. It was perfect. Now it seems that more and more people are choosing to move into private rented accommodation for the first time. Meanwhile, millions of other people, unable to get a foot on the property ladder, also have little choice but to rent. So today I am here to share my top tips to consider for renting for the first time renters in collaboration with Homelet. It's pretty unlikely that you will find the perfect place to rent straightaway. In most private rented accommodation you have to ask permission to decorate, hang pictures and move furniture, however it's worth finding a place you at least want to live, if you're completely picking apart the place it probably isn't the one for you. Although it doesn't have to be a place you love for years at least make sure it is somewhere you enjoy being. You have to be organised when renting, from looking at properties to moving in. Write a list of properties you want to enquire about with estate agent information and numbers and make sure you have all your documents ready to go! We found renting was very speedy you need to get your applications in quickly, so be prepared. Now we when first moved out, I'll be honest there were a couple of outgoings that we never considered. As well as your rent, you have other bills to pay like council tax, utility bills like water, gas, electric and internet. That's not including the first big food shop, or extra letting fees to agents. When I first moved out with my husband, we decided to get a joint bank account so we could use this to pay into and pay bills. Each month both my husband and I would place money into this joint account and we use this to pay all of these bills. We each put money in on payday and this covers all of these bills so we don't have to worry. Try and set up your bills so they come out at around the same time, all of our bills come out on the first of the month which makes it easy to remember. Don't be tempted to skip through the inventory and move in as soon as you can. If you don't go through everything with a fine-toothed comb, then you are leaving yourself open to cash being taken from your deposit. It's not just furniture and contents that need checking, note if carpets and curtains have been steam-cleaned and check the condition of furniture. In the first few days of moving in, take a note of all the problems you spot and let the agent or landlord know, preferably in a letter or email then you have a copy should things go wrong. Even check things like showers, toilets, taps and plug sockets. I guess this one goes without saying really, but you should make sure that you have some kind of content insurance with rented accommodation. It's important that you have the right cover in place if you ever become a victim of theft, fire or flood damage. As you may end up needing to replace a lot, if not all, of your belongings. Contents insurance is designed to protect your belongings. As a general rule, your contents are the things that could be taken with you if you decided to move house. Your landlord will cover home insurance, which covers the structure of your home, so the roof, walls and windows. It also includes the permanent fixtures, such as the fitted kitchen and the bathroom suite. Buildings insurance policies vary, but they should all insure your home in case of fire, storm, flood, subsidence, burst pipes, theft and falling trees. Also keep in mind that other appliances should be checked regularly such as a boiler, gas and electric check, which are normally carried out on a yearly basis. When it comes to moving into rented or your own property, it's time to be organised and keep records of most household things. Especially vital if there is every a dispute, something that you really need to keep in mind when moving into your first home. As well as keeping bills, tenancy agreements, rental documents other items that you could keep hold are photos taken when you moved into the property, ideally signed, dated and labelled, keeps all receipts and invoice of items you have replaced and item any work you have carried out. After a few months in out flat, we had a leak in the bathroom toilet, which we replaced at our own cost, but soon enough were reimbursed. About a year or so at the property the kitchen needed replacing, again at our own cost due to a back load of work that the landlord had to work through. But again, we were reimbursed some months later. Always make sure that your tenancy agreement is up to date. We would get a tenancy review on a yearly basis which would incur any changes in the rent cost and anything else we would need to know. This is something you really need to take into consideration if you have been living in the same place for a while or you have decided to have a short term tenancy agreement, so make sure that it's up to date. You could have originally agreed on a 6 month tenancy but now a 12 month tenancy would suit you better, get in touch with your landlord or estate agent about updating the agreement. Do you have any tips for renting or are you about to rent for the first time? Use the hashtag #RentingRules and share your top tips for renting! 1 comment on "Tips To Consider For Renting For The First Time"
In general, then you are right, sooner or later moving related each of us, and you need to be ready, write a list, glue stickers on boxes. And to choose a movers company you can trust them even the most valuable things. For us, this decision has become moving company in Miami https://topqualitymoving.com that our neighbors advised for us.